After successfully cloning Snapchat in every product under its umbrella, Facebook has set its sights on another social network that’s quickly growing among teenagers: Houseparty. Houseparty came to life about a year ago after developer Life On Air shut down Meerkat over fierce competition from Twitter-owned Periscope, and pivoted from live streaming to group video chats instead. The app took off fairly quickly and by November 2016 it had 1.2 million users spending 20 million minutes a day on it, with the main demographic being teenagers. 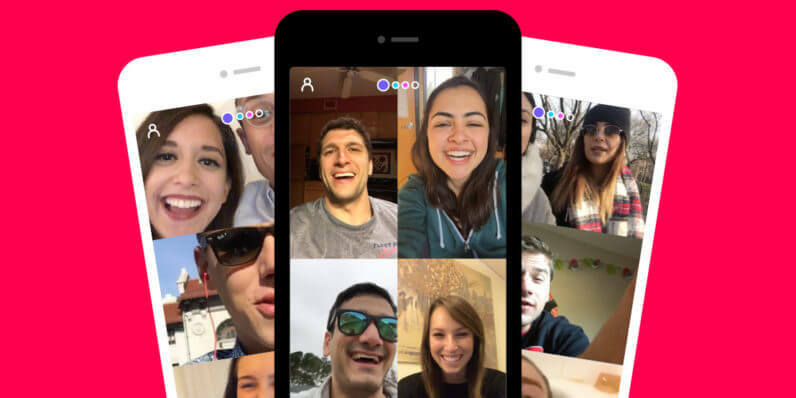 Now the startup is reportedly set to face-off with Facebook’s own take on group video chats. According to The Verge, the app has the working name Bonfire, and is said to offer near-identical functionality for starting group video calls instantly. As The Verge rightly notes, if Facebook succeeds, it would represent the second time in as many years that a Life On Air innovation is cloned and squashed by larger competitors. Facebook hasn’t always succeeded when building their own take on a popular concept — it was inspired by Snapchat’s ephemeral messaging to create the ill-fated Slingshot and Bolt, but it wasn’t until it blatantly copied Snapchat that they hit the mark. It sounds like they might skip beating around the bushes this time around and simply clone Houseparty too. The app is being targeted for a fall release.